Hello! I hope your weekend was fabulous! 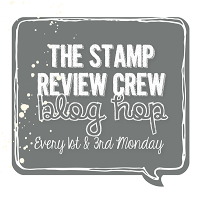 I’m hopping today with a group of my lovely stamping friends. Thanks to Leonie Schroder for bringing us all together. We have all been getting crafty with the pre-release suite – Share What You Love and will be sharing projects we’ve been making with this gorgeous suite. It appears in the upcoming 2018-2019 Annual Catalogue, but for the month of May, you can purchase three bundles featuring products from this new suite. 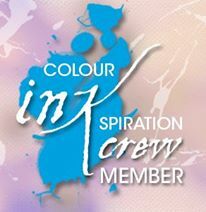 You’re going to love it – the designs, patterns and colours are beautiful! There’s 3 products bundles available to purchase (see all the info at the end of this post). 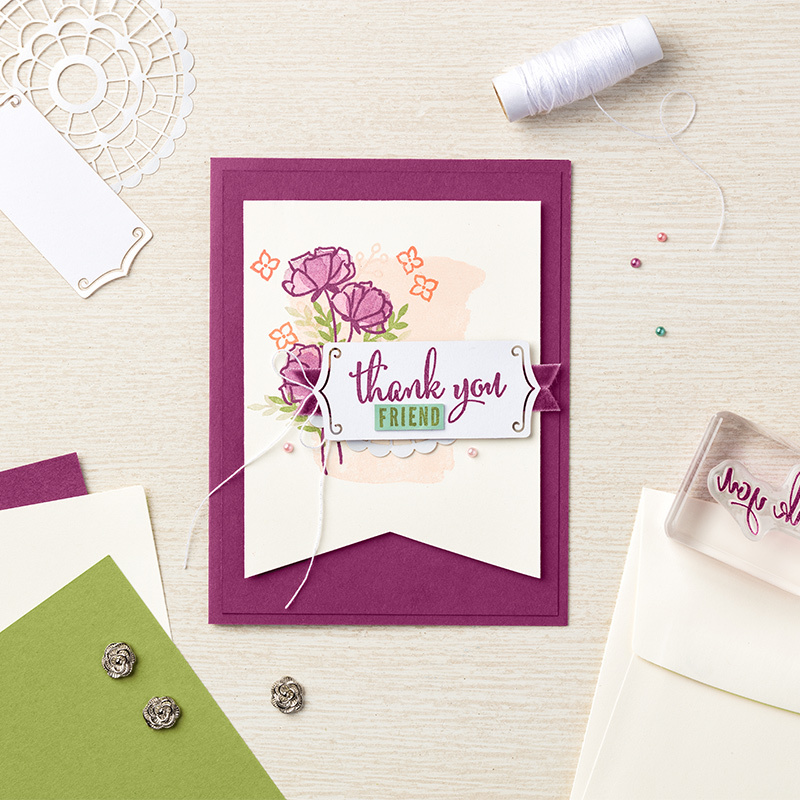 Here’s some sweet projects I created with the Love What You Do stamp set, Pearlised Doilies, Share What You Love DSP, Share What You Love Pearls & Lovely Floral Embossing Folder – with some of my favourite colours! The first card features the oh-so-pretty DSP (my favourite part of the suite) with a new In Color – Grapefruit Grove. The second card is a mix of the gorgeous DSP and stamps from the Love What You Do stamp set. The sentiments in this set lend themselves so nicely to the current trend of fussy cutting around the words. 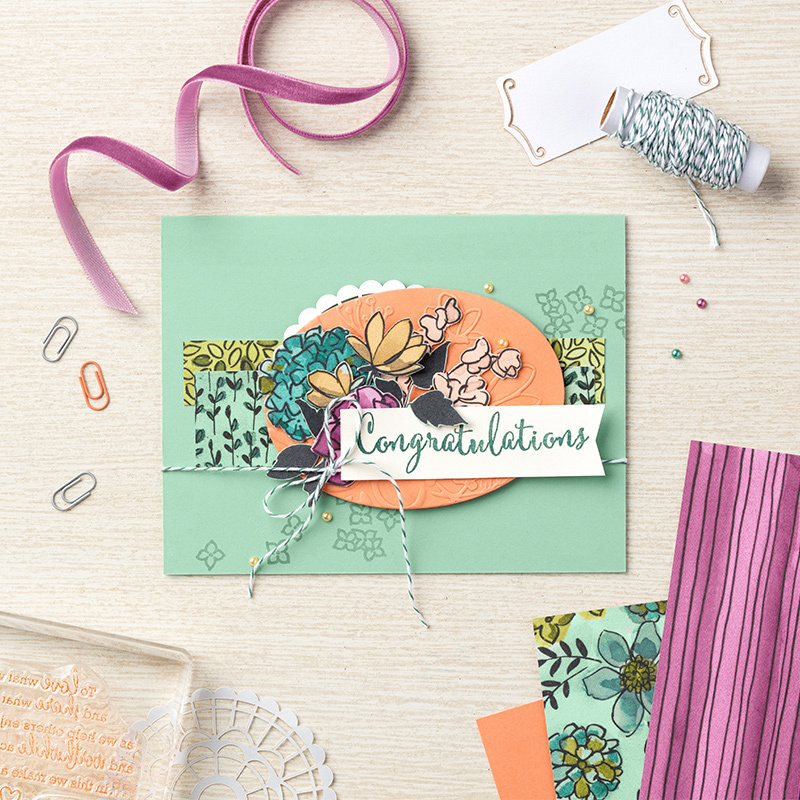 The final card features the Lovely Floral Embossing Folder – gorgeous just as it is, or you can add some colour by brushing with your ink pad. This is White Craft ink on Crumb Cake cardstock. There’s so much to love about this suite!!! 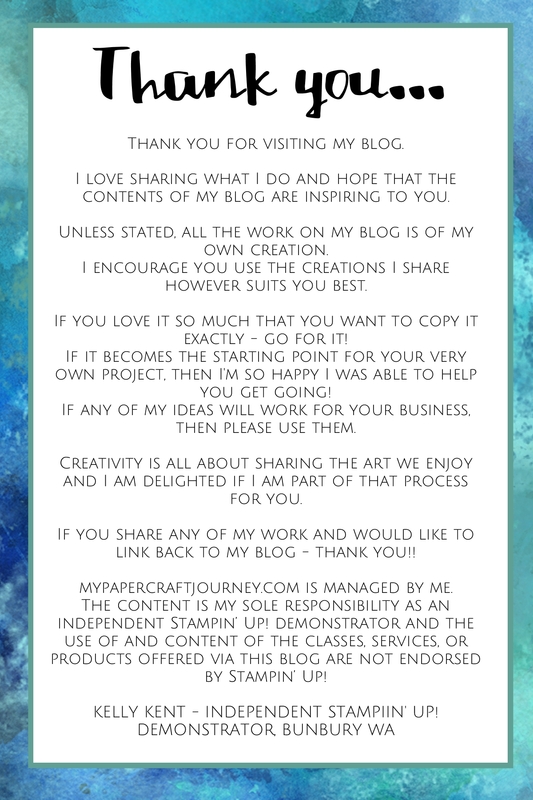 To see more gorgeous projects, visit the list of blog hop participants by clicking on the cute little blue frog, or click through to the next person on the list – Leonie Schroder. The flyer for the pre-release can be found by clicking here. Or, scroll below to see pictures of the available items and links to purchase in my online store (Australian customers). 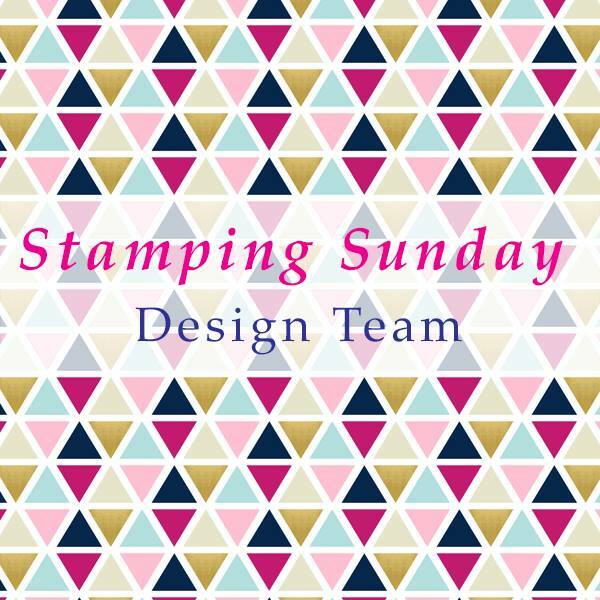 Thanks for joining me & my stamping friends today! There’s also an early release of the 2018-2020 In Colors. 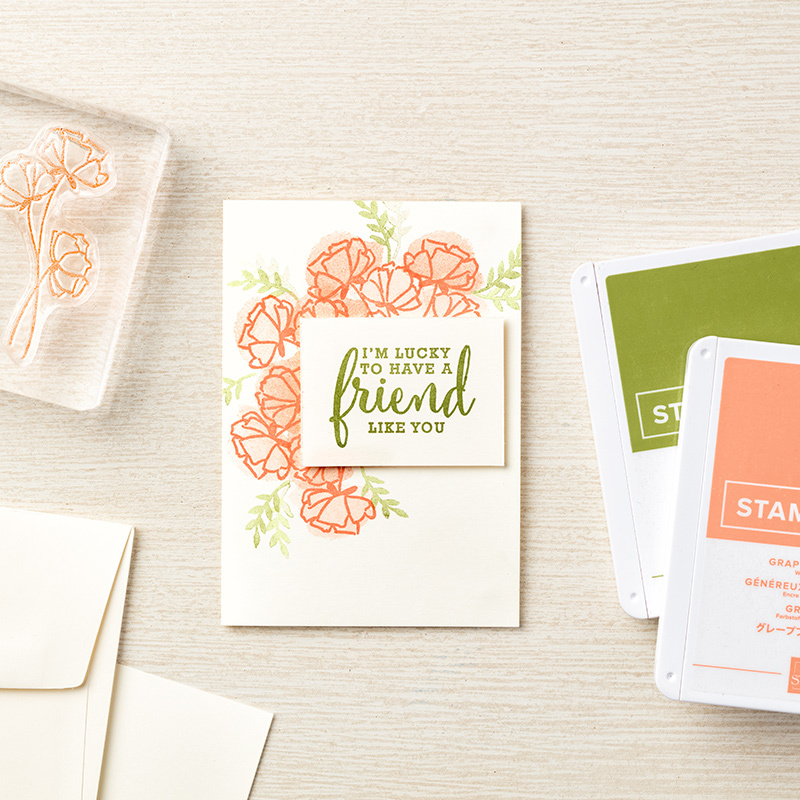 Buy the Stampin’ Pads before the catalogue officially releases. Click here to buy via my online store. Gorgeous cards Kelly..just adore the last one! Lovely cards Kelly and some awesome fussy cutting of words. This suite is fantastically versatile and great for so many different styles.